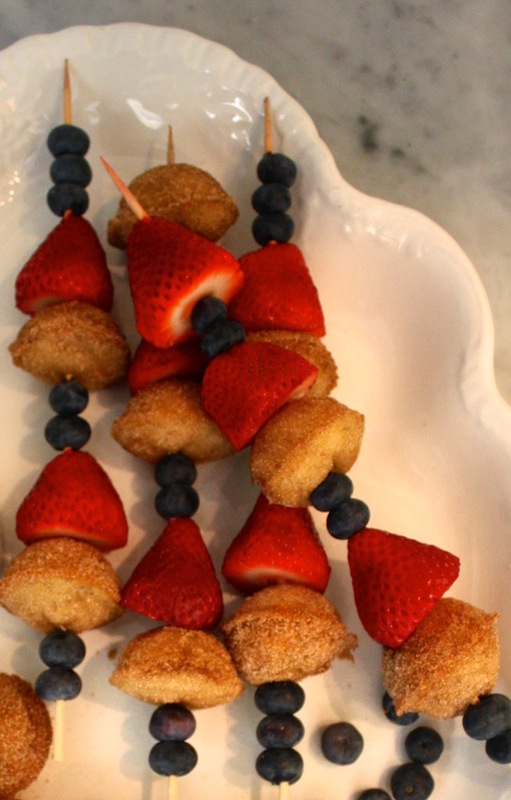 These are a tiny bit healthier than donut holes, and when served with fresh fruit on skewers, they make a quick and colorful breakfast or snack. In a large mixer bowl mash bananas. Add butter and sugar and still until combined. Add eggs and vanilla, then milk. Slowly add in the flour and baking soda. Grease a cake pop cake pan. I baked mine at 325 for approx. 12-14 minutes. 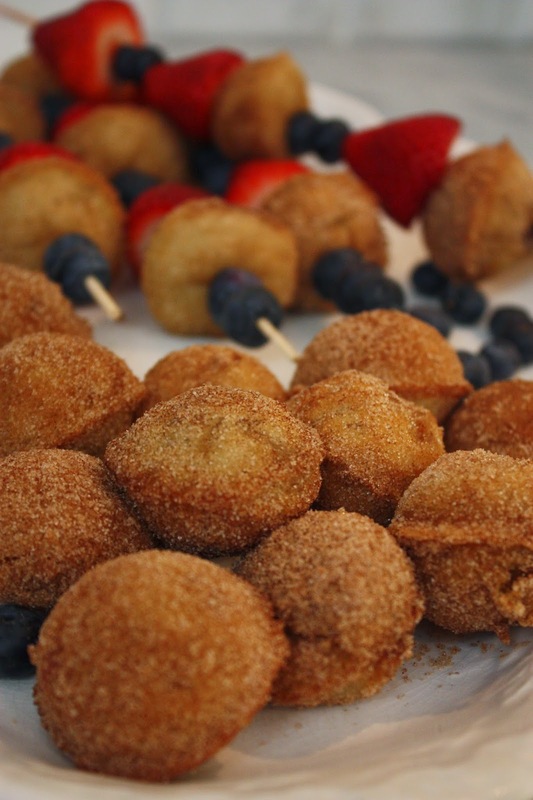 While they are still hot from the oven, roll in a mixture of sugar and cinnamon. If you'd like, you can string them up on skewers with strawberries and blueberries, or the fruit of your choice! These sound delish. I have some over ripe bananas right now so I think I'll try this out. Thanks for the recipe. Wow, looks really appetizing and healthy too. Can't wait to try it. Thanks for sharing. I love this recipe and will try it but I am not fond of donuts. These look more like mini muffins and I bet they taste great! I would add fruit and make a kabob also! Thanks! Did you know that you can shorten your long links with Shortest and make cash for every visit to your short urls. This looks so delish! Thank you for sharing!! I guess I will be a interesting treat for dinner!